Global Service Jam is a yearly event enabling anyone interested in service design and design thinking to co-create, experiment and develop new solutions inspired by a shared theme. This year, the Jam was arranged in 100 cities during the weekend of February 27th – March 1st all around the world. 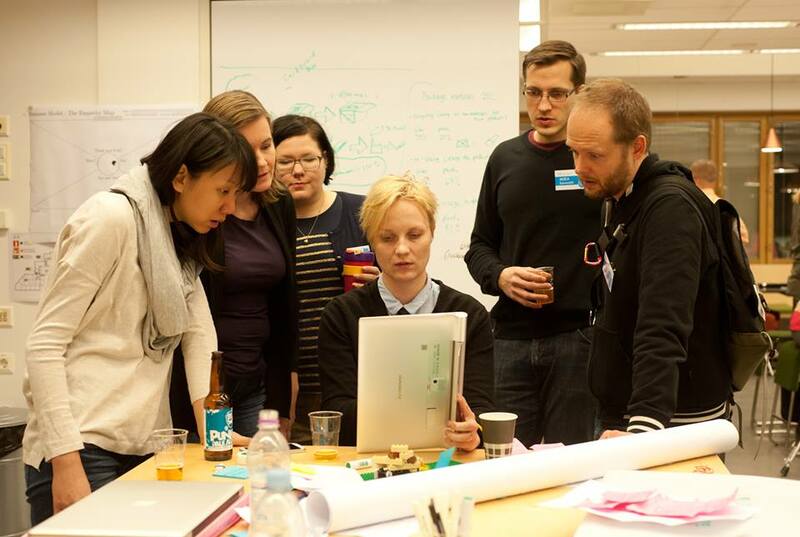 In the Jam, the participants will go through the entire service design process in one weekend, gathering customer insight, creating new service concepts in interdisciplinary teams, building prototypes and testing the new concepts with real customers. For me it was the first time I have ever participated in the Global Service Jam. I had high expectations and have to say that my expectations were exceeded. The Jam is an absolutely fantastic event to learn about service design, customer oriented service development, creative methods, concept development along with meeting new people and getting new friends. It is a 48 hour journey, focusing on “doing and not talking”, creating solutions based on real customer needs – and having a lot of fun! The following video will provide a glimpse of what the Global Service is all about and revealing what the shared theme for 2015 Jam was. During the Jam we also had inspiring presentations by Jani Turku from IMPROVement and Anton Schubert, the Head of Design at Futurice. 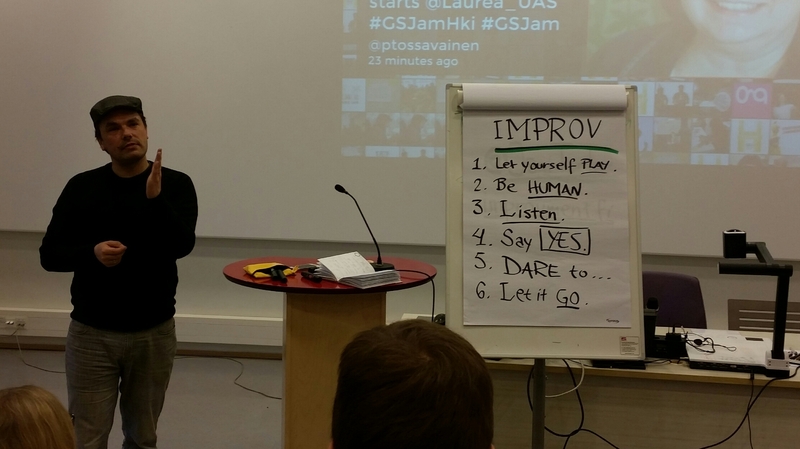 The key message from Jani Turku was that creating new services requires you to allow yourself to play, be human, listen, say “yes, and…” instead of “no, but…”, dare to try new things and to be open-minded. Anton Schubert talked about the importance of prototyping and how everything can actually be tested. It is just the matter of using the right tools and methods. 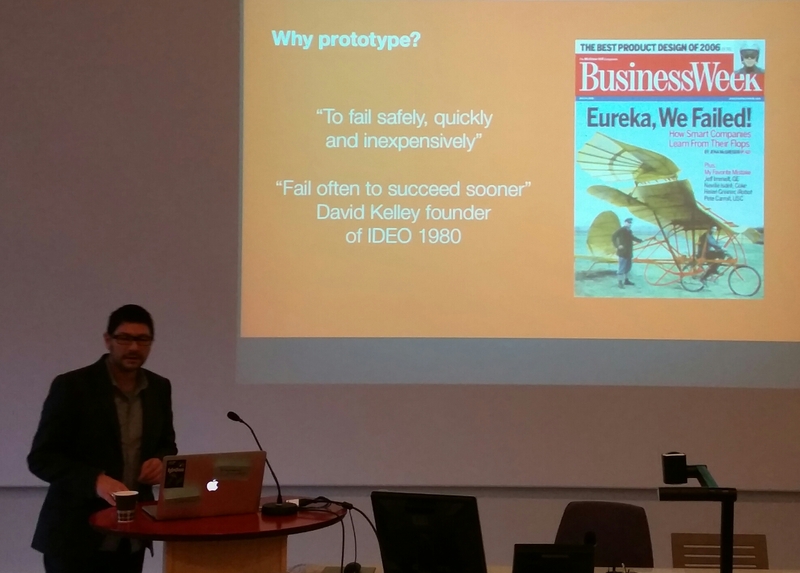 Prototyping is about learning, failing safely and inexpensively, i.e. failing often to succeed sooner, as stated by David Kelley, the founder of IDEO. Our team, the cardboardboxcrew, worked and designed a solution combining a package pick-up and delivery service and a reusable box (made out of recycled materials) for users buying and selling online. Naturally the same solution could be used by traditional package senders as well. We also designed a mobile application for the user to order the reusable box and the delivery of the package. Our team (from the left) Chien-Ting “Jessie” Hsu, Susanna Turunen, Pia Wenelius, Emmi Joru, Mika Kuivamäki and Antti Kytö. So, during one weekend, we started from the problem definition (finding the problem worth solving), gathered customer insights via interviews. After analyzing and clustering the customer insights we continued by ideating solution ideas to solve the initial problem. Then we defined the customer journey and service blueprints, started building the first prototypes with Lego bricks, cardboard and a foldable plastic box, created a mock-up for our mobile application, tested our solution and service flow with real users, iterated the solution based on customer feedback, defined business model using the business model canvas and created a video for pitching our concept idea. Take a look at our concept video! ← What would Marc Stickdorn do?